Learning English is a journey. And sometimes, that journey can feel frustrating. There's nothing more frustrating than wanting to express a strong opinion but not having the right language to make people understand exactly what your opinion is. Or not having the fluency to really have that great conversation. Or lacking the confidence to speak because you don't want to be misunderstood... That's more than frustrating. It means that right now, you're stuck. This course will give you the language - and the confidence - to speak up when you have something to say, and even more importantly... to be listened to by others. People will listen to you because you will know how to to grab their attention and make yourself clearly understood. This course helps you to end your frustration and finally give you that freedom of speech. This is a course unlike any others you will find anywhere else. ... How so? Because most courses expect you to stay motivated by your own real-life goals for hours while you listen to rules or example sentences, often without much context. Have you noticed that this doesn't work? Have you ever wondered why? I mean, you were so excited to learn this stuff, right? So why do you lose that excitement and motivation before reaching the end of the course? The truth is: it's because your brain doesn't work that way. Your brain needs two kinds of motivators to stay on the learning path. You could be extremely motivated to learn English fluency, but to your brain this is only a long-term motivator. This is important. But all brains work best when there are also short-term motivators. This is the key to deep learning. This course is designed to keep you engaged and motivated with both long-term motivators and short-term motivators. The long-term benefits are that you will be able to express yourself fluently in many ways. And the short-term benefits? This course guides you in how to be fluent with five fun debates that continue to develop and grow over the whole course. Your hungry short-term brain is satisfied by the continuous feeding of quick wins and small victories by using the language to interact with the debates that continue through the course. You aren't just repeating sentences and phrases - you are deciding how you want to reply, and learning to reply. Quickly. (1) You will listen to different arguments in the ongoing debates. (2) You will learn the language the speakers use as well as the communication skills that really give you the fluency to express yourself clearly. (3) You will learn what mistakes you MUST avoid. (4) You will practice the language and fluency skills to participate in these debates yourself. Yes - YOU actually use the language while taking this course! (5) You will even get responses to what you say! I've put a lot of effort into making sure that this course really helps you this time to stop feeling like you can't express yourself. This course can, once and for all, give you the keys to unlocking one of the greatest parts of your life: your self-expression. Don't waste another day of your potential. 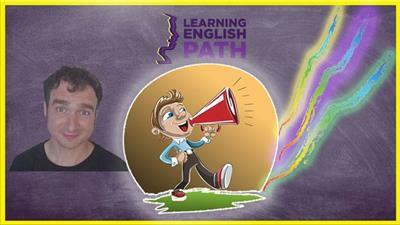 English learners who want to be able to express themselves clearly and fluently when speaking. At least an intermediate level of English is required to take this course.